It's the most socially-savvy generation, but many are leaving multiple platforms and marketers need to know why. The majority of people from Generation Z—those born from the mid-1990s to the early 2000s—use social media. That shouldn’t surprise you (and if it does, then you’re dangerously out of touch with the world, my friend). But what will come as news is that these users are leaving en masse. In fact, 34 percent of Gen Z say they’re permanently quitting social media, and 64 percent are taking a break, according to new research from Origin, Hill Holliday’s in-house research arm. The survey of more than 1,000 18 to 24-year-olds across America discovered a total of 41 percent are made to feel anxious, sad or depressed by platforms like Facebook, Instagram and Snapchat. Yet 77 percent say having these accounts provides more benefits than drawbacks. "Firstly, most Gen Z’ers are more likely to turn down or temporarily pause some social media sites rather than abandoning them completely, so there’s no need to panic," said Lesley Bielby, chief strategy officer at Hill Holliday. "But in the light of this, there is definitely a need to think differently about how brands can use social media. While most people in our study felt that the good outweighed the bad, they are more likely to turn down or turn off sites and content that feed their insecurities." 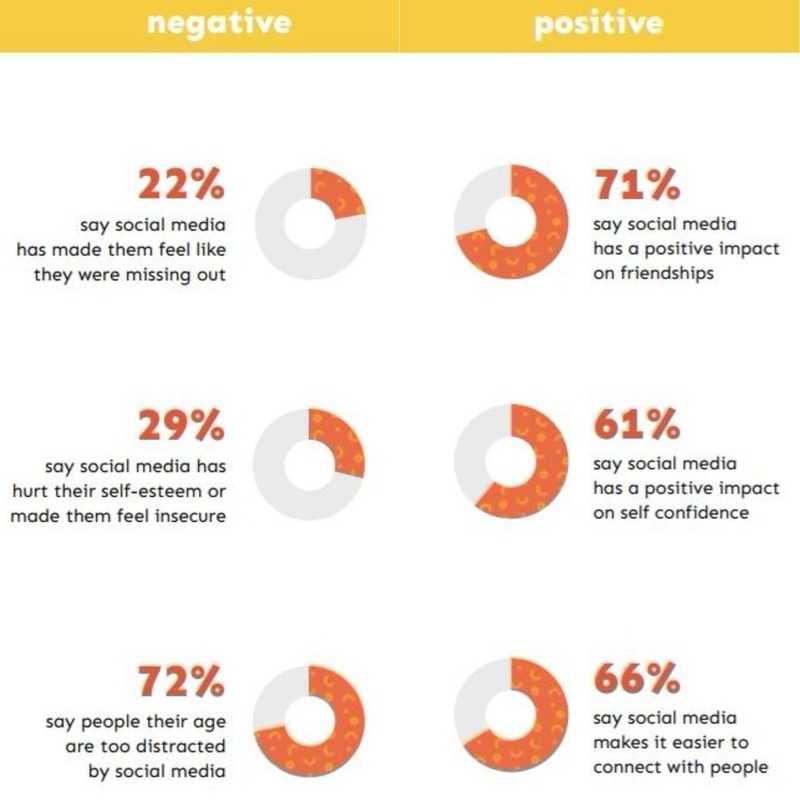 The findings point to a paradoxical effect social media is having on Gen Z. They’ll take the immense FOMO (22 percent say it makes them feel like they’re missing out) with the pro of how it makes them feel closer to their friends (71 percent report these platforms having a positive impact on their relationships). They’ll say it tears apart their self-esteem (29 percent), but boosts their ego (61 percent). Can’t live with it, can’t live without it. So what does all this mean for marketers? "The study actually suggests that for the most part, social platforms are still relevant and worthy of investment," Bielby continued. "But marketers and advertisers need to refocus on helping Gen Z’ers use social media for good, instead of amplifying any negative impact on young adults, who are in one of the most vulnerable developmental stages of their lives. "We have to remember that this is a cohort that doesn’t trust institutions and that has little faith in corporations. They align with brands they believe in and will call foul of those that don’t demonstrate strong values and ethics. Brands need to invest in using social sites responsibly, to focus on amplifying brand messages that are relevant, and that do good." Around 65 percent of participants follow brands on social media, and the majority of those do so to snap up deals or promotions. But when it comes to shopping, brand followers aren’t routinely putting their money where their browsing is. Only 43 percent of users have bought something directly through social. Facebook and Instagram were the most popular platforms for shopping in this study. Social shopping provides retailers with great opportunities to engage with customers. However, while their tolerance for interruption might be greater, Gen Z still gets annoyed by it. This means brands should be highly personalized, pushing content that offers something truly relevant. It shows more respect for their time and gives them a more positive brand experience, explained Bielby. And when it comes to choosing what platform a brand should use as its microphone, putting all the eggs in one basket might be the best decision. 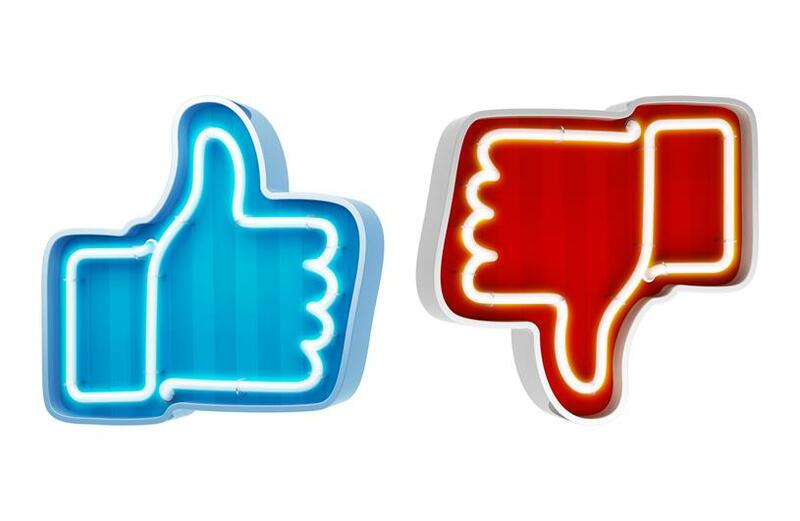 "Each social platform is so individual, and some are actual polar opposites," said Bielby. "I think it’s about picking the right product, for the right platform, for the right message, for the right audience at the right time. It’s not about spreading your brand too thin in an effort to extend reach, so that you have all social sites ‘covered.’ Pick the right platforms and then dig deep, in a meaningful way, that is true to your brand. "Just because a social platform exists doesn’t mean that your brand has to fill it with content. Gen Z’ers, who are supposed to be social natives, are now at worst, overwhelmed by the amount of sites and content and the amount of mind-space and maintenance that too much social engagement can entail. To that end, only the most relevant and respectful social platforms will thrive."